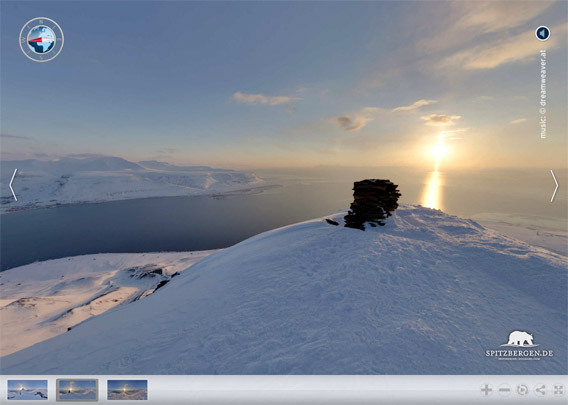 Once you have started the virtual tour, you can either use the map in the lower left corner to navigate inside the hut, or the bar at the bottom, or click on symbols within the panos to enter the next one (only while the next location is visible, not always available). Or you can just let it play and it will automatically switch to the next pano after one turnaround. You can switch the sound off (upper right corner) if you wish, same with the explanatory text. 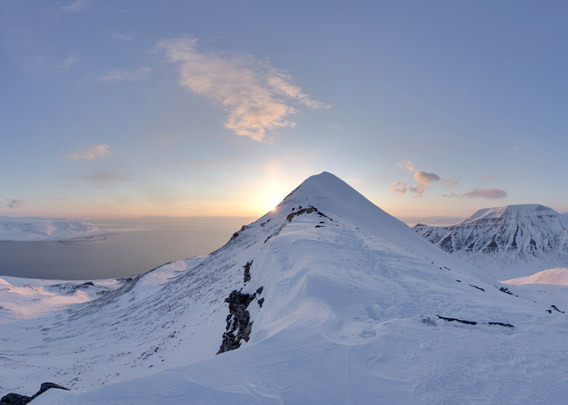 On the north side of Adventfjord, opposite Longyearbyen, there are the two beautiful mountains Adventtoppen and Hiorthfjellet. Both tops offer amazing views and are great destinations for good hikes. In summer, getting there is not easy, as you either have to arrange boat transfer over the fjord or you have to hike across Adventdalen, including a challenging crossing of the river there. In winter, it is much easier and quicker to get there with ski or snow mobile. You can easily drive not only to the foot of the mountain, but actually to an altitude of almost 400 m, where a little hut with big satellite dishes („Telelinken“) makes sure Longyearbyen gets proper TV. From there, it is a steep slope up to a ridge where you have to decide if you want to go up Adventtoppen or Hiorthfjellet. In summer, loose rock slabs make the slope a challenge, and in winter, hard snow has a similar effect. Light crampons are great to make the ascent easier and safer. A ridge is leading up to Adventtoppen, where a cairn is marking the highest point (786 m). Adventtoppen is not as high as the neighbouring mountain Hiorthfjellet, but it has actually got better views as it does not have a plateau on top, but a smaller peak so you have got the view to all directions from one spot. The eastern horizon stretches from Hanaskogdalen (north) to Hiorthfjellet and to the wide valley of Adventdalen. 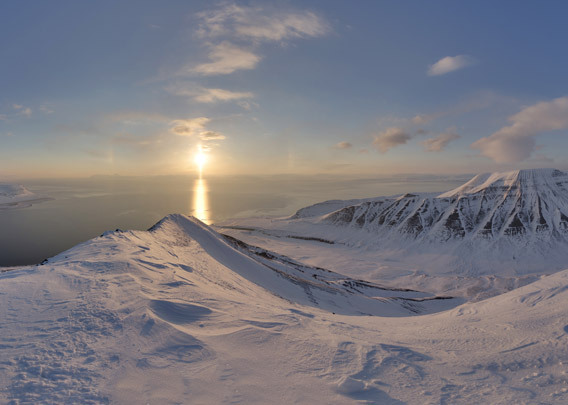 Across Adventfjord, you have a complete overview of Longyearbyen and the surrounding mountains and of Hotellneset with the airport and campsite. 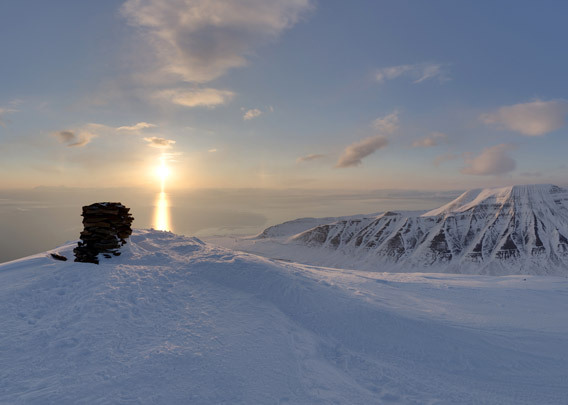 At the same time, you have got a full view to the west to the mouth of Isfjord, so you can enjoy great sunsets. Even mid-day if you come in mid February.